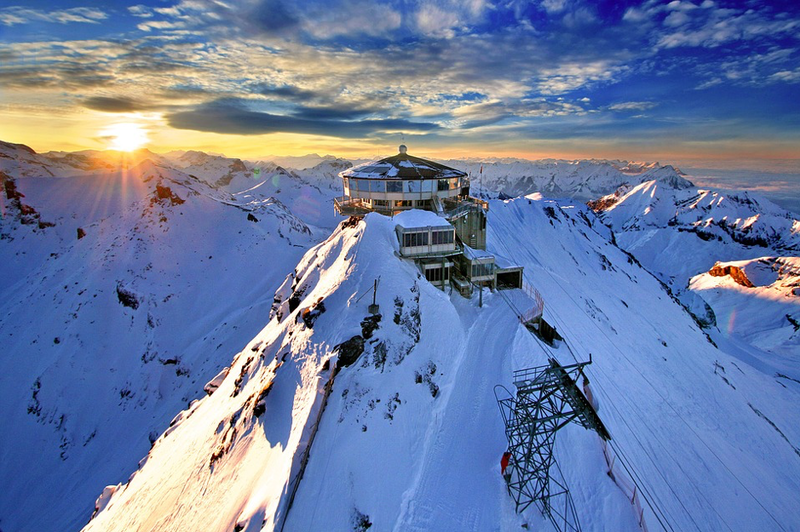 Switzerland has long been famous for high quality chocolate, cheeses, luxury watches and gorgeous snow capped mountains. However, in recent years it has become synonymous with something else: blockchain and cryptocurrencies. It seems that Switzerland has all of the right conditions for a cryptocurrency ecosystem to flourish. Let’s take a look at some of the reasons why Switzerland has had such success in blockchain innovation and the new developments, projects and events on the horizon. Why Does Switzerland Lead the Way? As Jeremy Epstein explains in this article, it’s the decentralized operating system in Switzerland that accounts for a great deal of its wealth, quality of life and safety. 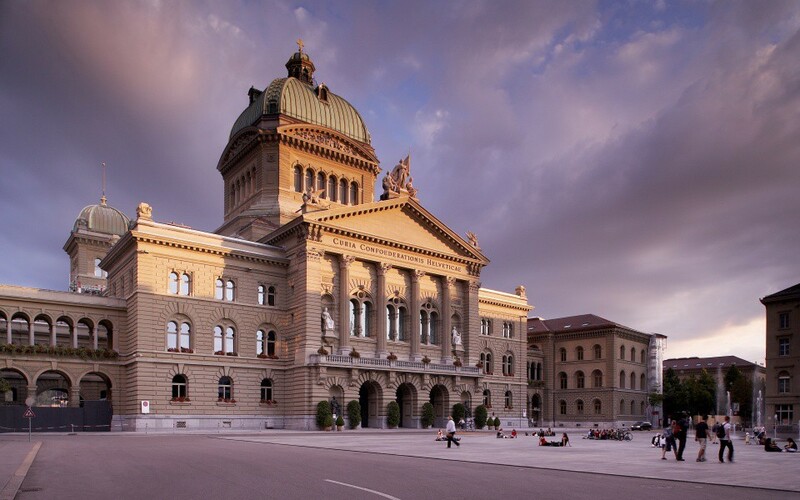 Switzerland is set up this way because the ideal is to establish a “citizen-first” democracy. Has a centuries-old focus on individual rights within its culture. Is forward-looking and open to innovation and entrepreneurship. Is neutral and stable, which creates a business friendly environment. Has a high quality standard of education and world-class infrastructure. The country is divided up into 26 cantons and half-cantons and these separate states have a lot of power to determine their own affairs. Also, several times per year Swiss citizens are asked to vote on national matters in the largest display of Direct Democracy in the world. Also, taxes are defined and implemented at federal, cantonal and municipal levels. This is the case in many countries, but the difference in Switzerland is that the proportion of the taxes at the cantonal level is much larger. This means that the cantons essentially compete against each other to attract economic development and offer incentives to their residents. This leads to low taxes, which creates a very strong incentive for investment. By creating a decentralized system that puts a lot of the decision making down to individuals, the Swiss have created the ideal environment for economic growth and blockchain innovation. These are just some of the many factors as to why this nation is leading the way and why Crypto Valley is growing into one of the world’s leading ecosystems for blockchain, crypto and distributed ledger technologies. If Switzerland can implement blockchain well, with transparency and clarify, it could serve as a model for other countries. 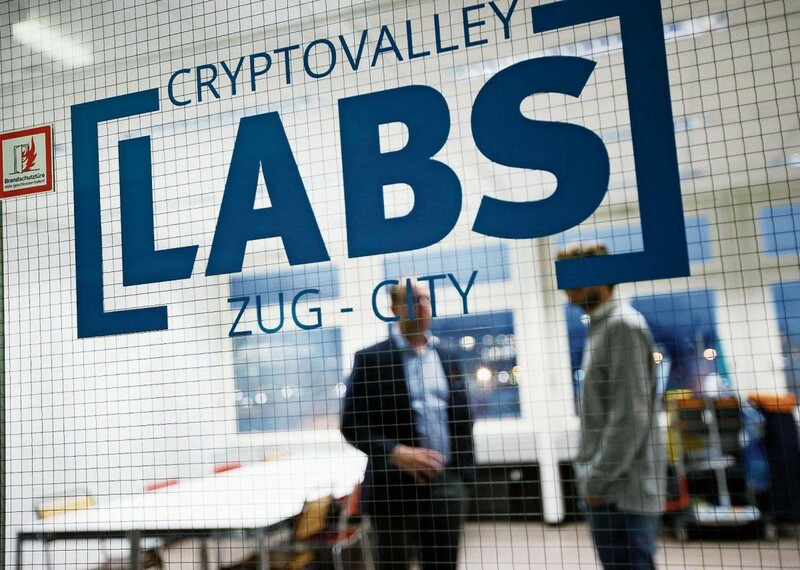 In August of 2017, Swiss Economy Minister Johann Schneider-Ammann visited “Crypto Valley” in Zug in order to learn all about blockchain technology and meet many of the top startups in the area. He spent three hours at Lakeside Business Center, meeting with many important players in the blockchain industry including Mathias Ruch (Managing Partner of Lakeside Partners.) The conversation was focused on the possibilities of promoting the expansion of the Crypto Valley ecosystem. Federal Councillor Ueli Maurer also took a trip to visit fintech firms in Zug and Zurich. The goal of this visit was to learn more about developments in blockchain technology so that the Federal Council could propose the necessary regulatory adjustments. Acceptance of blockchain systems in Switzerland goes all the way to the Federal Level. There is a new Blockchain Task Force commission that is focused on accelerating adoption of these innovations. The task force is led by the economics and finance ministers and their aim is to review blockchain guidelines which have been issued by the State Secretariat for International Financial Matters. Also, a government-backed nonprofit in Switzerland has published a code of conduct for ICO conductors. The Crypto Valley Association aims to bolster the cryptocurrency and blockchain industries in Switzerland and asks ICO operators to tell investors how money that is raised in a token sale will be used. Also, the CVA asks ICOs to share information about how their token works and the risks associated with them, in language that is understandable to people with an average level of technical experience. The aim of the CVA is to hold ICO conductors to a high standard, as there has been frequent media reports of bad governance and scams around ICOs. These risks may be making more conventional investors hesitant, so it’s important to increase transparency so that ICOs will appeal to the wider public. The founding members of the CVA include Thomson Reuters, Monetas, Luxoft, the Lucerne University of Applied Sciences and Arts, iprotus, Bussmann Advisory and Bitcoin Suisse. This professional organization will accelerate, coordinate and scale the development of Crypto Valley — creating the best ecosystem in the world for crypto-related businesses. The Financial Market Supervisory Authority (FINMA) of Switzerland recently published an eleven page document outlining their guidelines and regulations for initial coin offerings. The aim of this document is to define the principles for ICOs so that they can be as clear and straightforward as possible. The guidelines also define what information FINMA needs in order to deal with these enquiries and the principles on which it will base its responses. For example, the guidelines state that FINMA will treat some of the tokens sold during initial coin offerings as securities. If they are considered “asset tokens”, there will be securities law requirements when trading them. However, FINMA’s actions haven’t been entirely well received. Politicians from several parties in Switzerland have been attempting to limit the rights of FINMA. Increased (selective) regulation by FINMA has caused complaints by many banking and asset managers in recent years. The lower house of parliament recently passed a motion that to take away regulatory powers from FINMA, leaving the banking authority only the right to supervise the financial market. Although Finance Minister Ueli Maurer agrees that regulation and supervision should be separate, he has noted that the federal administration or parliament do not possess the expertise to develop the regulatory framework for the industry. When FINMA released its annual report for 2017, it said that out of the 453 enquiries it received last year, 60% of them were focused on cryptocurrency, blockchain, smart contract applications and ICOs. This is a 3X increase compared to the data from 2016. Overall, the financial ecosystem in Switzerland is very accepting of the idea of blockchain. There are many events, roadshows and talks being organized to educate banks, lawyers and entrepreneurs on this topic. Also, the banks have a generally positive attitude to the developments. Zug is a pretty special place. It was once considered a poor area of Switzerland, sustained by manufacturing and fishing. It is one of the smallest of the 26 cantons, with a population of only 120,000 people. It also has one of the lowest tax rates, which was introduced in the 1940s as a strategy to lift itself out of poverty. It is now the headquarters for many huge global companies and one of the wealthiest cantons in the country. Thousands of companies flocked to this sleepy little town, transforming it into a luxurious haven of wealth. Holding and investment companies that don’t do business in Switzerland pay a corporation tax of only 8.5%. The local revenue service considers taxpayers as clients, not debtors. Mayor Dolfi Mueller is forward-thinking and innovative and, as he says in this interview, he believes that “we are at the beginning of a revolution.” The economic promotion board has encouraged more than a dozen virtual currency firms to establish themselves in Zug, including Ethereum (the foundation that provides the technology behind the Ethereum Blockchain). Not only is Zug the headquarters of many blockchain startups, it’s also starting to use blockchain technology in its operation. It’s actually the first municipality in the world that accepts tax payments in bitcoin. Plus, it recently announced that locals will be able to register their identify via an ethereum based crypto-address system. The system uses the uPort identity platform which was created by ethereum development community ConsenSys. It will allow citizens to have a single electronic identity, somewhat like a “digital passport” which can be used for a wide range of applications. The very first digital ID was officially registered on November 15th in Zug, in front of a live press audience. There are dozens of projects and existing businesses already within the Swiss blockchain ecosystem. Here is a list of the current players as of January 2018. As you can see, there are many existing players already in a wide range of different industries, including payments and investments (Bitcoin Suisse, Lakeside Partners, Bity, Melonport and Shapeshift), data, supply chain and trade (Gatechain, Modum, Prosume) and much more. Here are a couple of bigger examples of businesses adapting blockchain systems for their operations. It’s now possible to buy Bitcoin through a train ticket machine in 1,000 locations around Switzerland. The system was introduced in November of 2016 and it allows those with a Switzerland phone number and a QR wallet to purchase cryptocurrency from the automated kiosks. Accounting firm Ernst & Young announced in 2017 that it will be digitizing itself and it will become the first advisory firm to accept Bitcoins for its services. Clients will now be able to pay invoices from the firm in bitcoin. Employees now have digital wallets and there will also be an ATM for Bitcoin in the main building. BitFinex, one of the largest cryptocurrency exchanges in the world, hopes to relocate to Switzerland. They have apparently already been discussing the move with the State Secretariat for International Financial Matters and they have already connected with Federal Councilor Johann Schneider-Ammann. If BitFinex do choose to relocate their operations to Switzerland, they will likely form a new AG (Aktiengesellschaft, a German term for a public limited company). This could replace iFinex Inc, which is the British Virgin Islands parent company. However, before the move can go through it requires approval from the Swiss Financial market Authority. Switzerland will also be hosting several exciting blockchain events in the coming months and years. These events will bring together some of the biggest and brightest thinkers and decision makers in the world of blockchain and cryptocurrency. The second annual Blockchain summit will be taking place in Crypto Valley at the end of April. It will focus on the intersection of startup and enterprises, as well as ideas and innovations for building new things with distributed ledger technology. There will be a number of impressive speakers at the event — including Luis Cuende (co-founder of Aragon) and Eva A. Kaili (member of European Parliament). Taking place in St. Moritz (one of the finest ski resorts in the Swiss Alps), the Crypto Finance Conference is the first investor conference in on blockchain investments and cryptocurrencies. Plus, it’s also the largest investor conference of its type in the world. It brings together private and institutional investors, as well as the leading providers of the blockchain ecosystem. It will be a three day event, offering investment opportunities, education, networking opportunities. This exciting event will be a gathering of scholars, researchers, developers, CTO’s, CEO’s and government officials. It will focus on the innovations around blockchain technology and will feature discussions and presentations on the latest advances in blockchain technology. There will also be many exciting satellite events associated with the conference, including workshops, talks and parties. Although Switzerland isn’t a perfect paradise, when it comes to economic stability, prosperity and safety it is one of most high functioning societies in the world. It is incredibly democratic and Swiss citizens pursue their own interests, while also working towards the common good. Thanks to the decentralized nature of the Swiss system, the innovative attitudes of many politicians and the financial climate, Switzerland continues to lead the way in blockchain innovation. Here at blockimmo, we are playing our part in this blockchain revolution. We are building a blockchain solution that will transform the real estate industry. If you want to learn more, come visit us at our location in Zug in the heart of Crypto Valley.